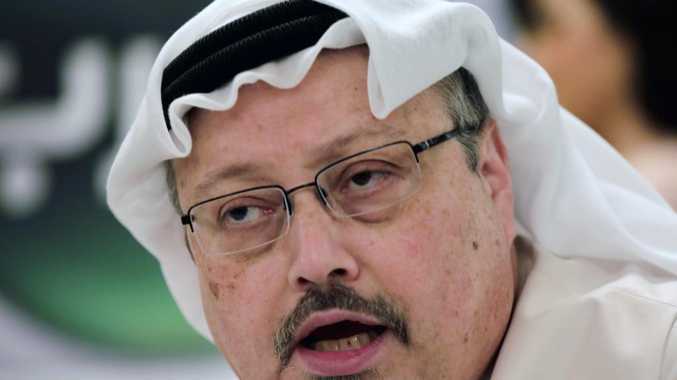 "The discussions between Jamal Khashoggi and those he met at the kingdom's consulate in Istanbul... devolved into a fistfight, leading to his death," the public prosecutor said. 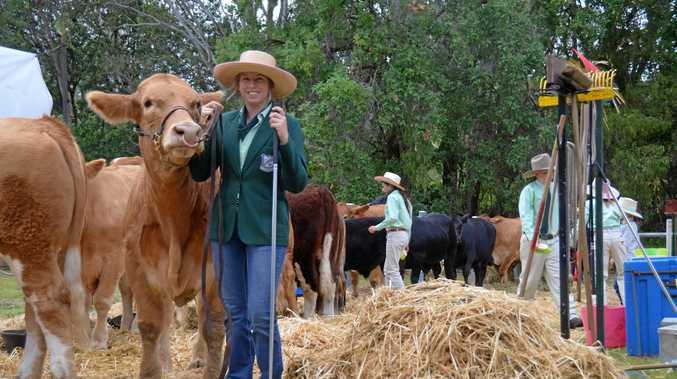 Eighteen nationals have reportedly been arrested in connection with the suspected murder. The case has sparked global outrage as the mystery over his disappearance deepens. But there's one person believed to be at the centre of scandal who is yet to make public mention of it: Saudi Crown Prince Mohammed bin Salman. 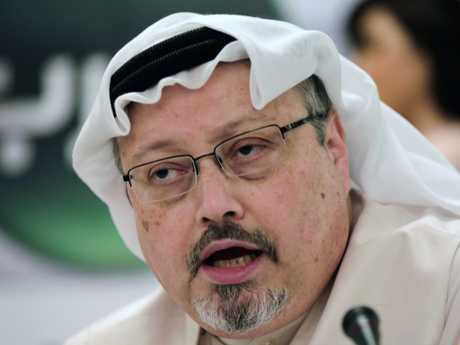 Turkish reports say Mr Khashoggi, who had written columns critical of the Saudi government for The Washington Post over the past year while he lived in self-imposed exile in the US, was killed and dismembered inside the Saudi Consulate in Istanbul. Mr Khashoggi has not been seen since he entered the consulate on October 2. It's believed members of an assassination squad with ties to Saudi Crown Prince Mohammed bin Salman are responsible for his death. The Saudis have dismissed those reports as baseless but have yet to explain what happened to the writer. 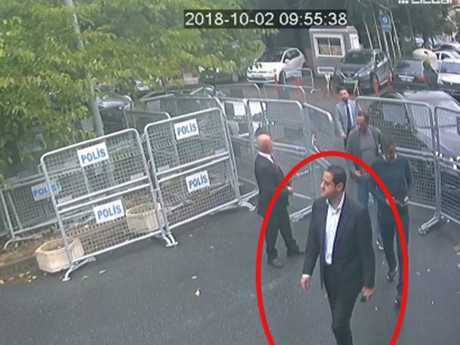 In Istanbul, a leaked surveillance photo showed a man who has been a member of the crown prince's entourage during trips abroad walking into the Saudi Consulate just before Khashoggi vanished there - timing that drew the kingdom's heir-apparent closer to the columnist's apparent demise. A Turkish newspaper has also reported that the contents of the writer's Apple Watch recorded his final brutal moments. 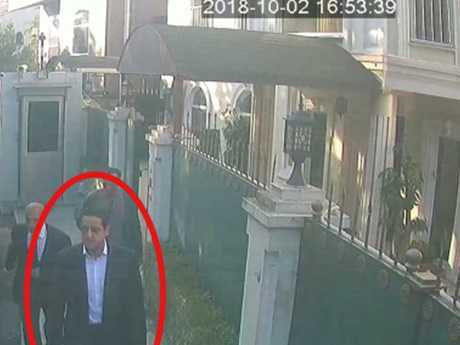 According to The Sabah newspaper, authorities recovered the audio from Khashoggi's iPhone and his iCloud account, which were synched to his watch. The tape, if it's authentic, supposedly reveals Mr Khashoggi had his fingers cut off. According to local media, his panicked dying screams could be heard before he was "injected with an unknown drug" and went off the grid. 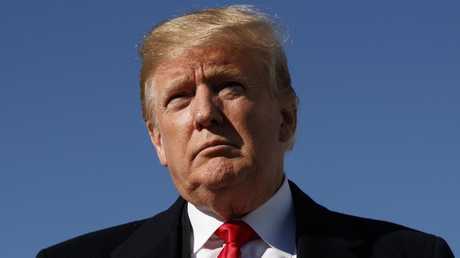 Mr Pompeo said the Saudis should be given a few more days to finish and make public a credible investigation before the US decides "how or if" to respond but had reportedly also been blunt about the need to wrap the probe up quickly. "Maybe these could have been rogue killers - who knows?" Mr Trump said. According to US media reports, the kingdom is considering an admission that Mr Khashoggi died after an interrogation that went wrong during an intended abduction. US Vice President Mike Pence said earlier in Colorado that "the world deserves answers" about what happened to Mr Khashoggi, "and those who are responsible need to be held to account." "This guy is a wrecking ball. He had this guy murdered in a consulate in Turkey, and to expect me to ignore it - I feel used and abused," he told Fox & Friends. Time Magazine featured him on its cover. He had televised interviews with western media outlets, with 60 Minutes hailing him as a "revolutionary" who was "emancipating women". He dined with Morgan Freeman, director James Cameron and The Rock, who posted on Instagram that it was a "pleasure" meeting him and a "fascinating experience". But his image has been severely tarnished on multiple occasions - he arrested at least seven high-profile women's activists in May, detained Lebanon leader Saad Hariri and allegedly forced him to resign, and threatened to arrest anyone who dared question his reforms. But it was the mysterious disappearance of one of his most prominent critics, Mr Khashoggi, that has marked a major shift in the public perception of Prince bin Salman in the West. Meanwhile, top technology executives have started to pull away from the Neom project advisory board, an ambitious $500 billion project spruiked by the kingdom as a sustainable futuristic megacity. In a blistering opinion piece, Mr Aldakhil warned such actions would cause oil prices to rise as high as $200 a barrel, drive the Middle East towards Iran and lead Riyadh to permit a Russian military base in the city of Tabuk. 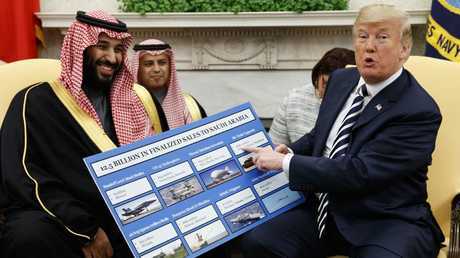 "If US sanctions are imposed on Saudi Arabia, we will be facing an economic disaster that would rock the entire world," Mr Aldakhil wrote for the Saudi-owned Al-Arabiya news channel. 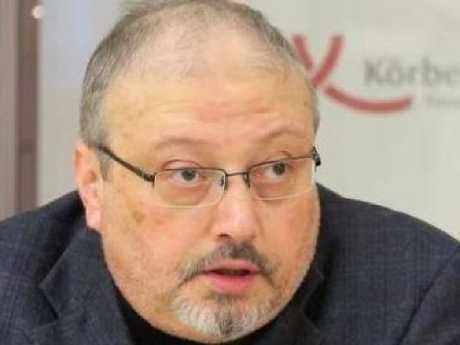 Missing Saudi journalist Jamal Khashoggi. Picture: Facebook.